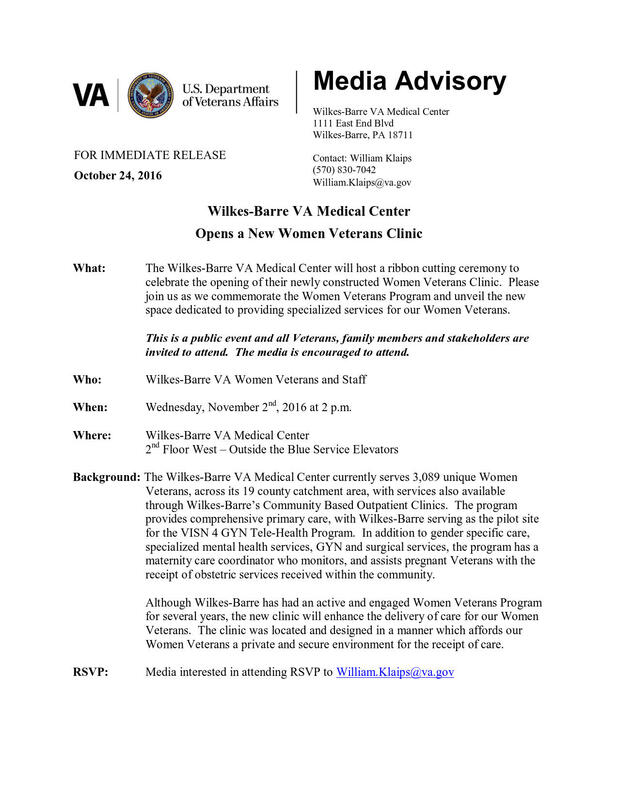 Finally, the most fundamental step in a bonafide women veterans program, if one is a hospital network, is about to occur at Wilkes-Barre VA Medical Center: a women veterans health clinic is opening on 2 November. No doubt it will be of benefit to the Lehigh Valley’s women veterans estimate at 2,300 to 2,500 . The “unique Women Veterans” count of 3,o89 refers to those they are currently serving in their 19 county catchment area — not the number actually living in all nineteen counties. Thus, there is room for improvement and hopefully this clinic will help — as long as convenience is also considered. Wilkes-Barre remains quite some distance away for most of our veterans. Tele-medicine will always have its limits. As a consequence, time off from work, length of journey and making transportation arrangements become factors in the convenience equation, on par with the issue of timely access (which the VA seems to have improved locally overall). Hopefully, having a specific clinic for women — unless empire building is the aim — will give our women veterans a greater voice through its dedicated medical professionals for more consideration of their needs and the importance of locality in services. More outreach and demand for service will inevitably result — not less. The introduction of Community Based Outpatient Clinics in the 1980’s proved that point. As it happens, this is good for the VA as it alters it service delivery system. Empirical evidence, as opposed to speculations, provide more bite to its effort to improve. We therefore wish the Women Veterans Clinic success. This entry was posted on Monday, October 24th, 2016 at 7:00 PM and is filed under Tidbits. You can follow any responses to this entry through the RSS 2.0 feed. Both comments and pings are currently closed.